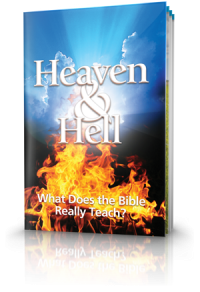 In a series of blogs over the coming weeks I will address some questions about the false doctrines of the immortal soul, heaven and hell taught by mainstream Christianity. 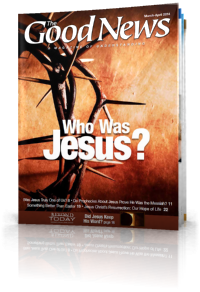 The first question is from Luke 23:43: Did the thief on the cross and Jesus Christ go to heaven the same day they died? Most Bible versions translate Christ's words to the convicted criminal being crucified with Him similar to the New King James Version: "Assuredly, I say to you, today you will be with Me in Paradise" (Luke 23:43). Because of the positioning of the comma after the word "you," many people think Jesus assured the man he would go to heaven with Him that very day. But is this really what He meant? We need to first understand that original texts of the Bible (Greek for the New Testament and Hebrew and some Aramaic for the Old Testament) used no punctuation. In the original Greek text for this verse there were no commas. The commas were added later by the King James translators and made this verse misleading. Hence this verse should read: "Assuredly, I say to you today, you will be with Me in Paradise" (Luke 23:43). As Dr. E.W. Bullinger explains in The Companion Bible: "None of our modern marks of punctuation are found [in Bible texts] until the ninth century . . . The punctuation of all modern editions of the Greek text, and of all versions made from it, rests entirely on human authority, and has no weight whatever in determining or even influencing the interpretation of a single passage" (1990, Appendix 94, p. 136). Although it is a strong supporting factor, the fundamental understanding of this passage does not rest solely on the misplacement of a comma in English translations. Certainly the true meaning would be better understood if the comma was correctly placed after the word "today." However, other rules of sound Bible study also help us to understand Luke 23:43. Did Jesus and the Thief actually go directly to heaven that very day that they died? In most cases translators and publishers of the Bible have done an admirable job using punctuation to clarify the meaning of the Scriptures, but this is one case where their doctrinal bias has regrettably obscured the meaning of Christ's words. By placing a comma before "today" in Christ's statement to the dying man rather than after it, they have Jesus saying something He never intended. 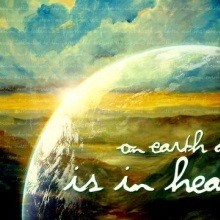 We know this because the Bible clearly says Jesus Himself did not go to paradise or heaven on the day He died! Instead He died and was buried in the grave. Notice the apostle Paul's clear statement in 1 Corinthians15:3-4: "For I delivered to you first of all that which I also received: that Christ died for our sins according to the Scriptures, and that He was buried, and that He rose again the third day according to the Scriptures." Notice also what Christ told Mary soon after He had been resurrected: "Do not cling to Me, for I have not yet ascended to My Father" (John 20:17). A full three days after His death, Jesus Himself clearly said that He had not yet ascended to heaven! Jesus had earlier plainly said that He would lie in the grave for three days and three nights (Matthew 12:40). The Scriptures nowhere say that His body was buried but His soul went elsewhere. Jesus died and was buried. He went only to the grave. Therefore the dying criminal could not have been with Jesus in heaven that day because Jesus Himself did not go there that day. If Jesus was not telling the man he would be in heaven or paradise on that day, what was He telling him? 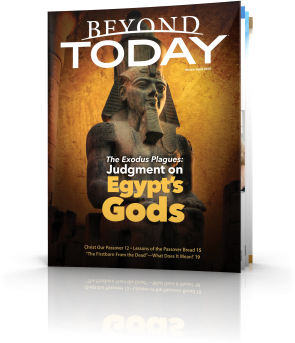 A fundamental principle for sound Bible study is to carefully check the context. Notice the specific wording of the man's request: "Lord, remember me when You come into Your kingdom" (Luke 23:42). Notice that the thief expressed no expectation of immediately going to heaven with Jesus at the moment they died. 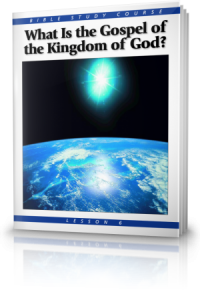 He may have already known something about the nature of the Kingdom of God -- that it would be a literal kingdom to be established on earth by the Messiah -- which many Jews of that day understood. Jesus Himself had previously given an entire parable "because they thought that the kingdom of God would immediately appear" (Luke 19:11). Jesus also taught His disciples to pray, "Your kingdom come" (Luke 11:2). 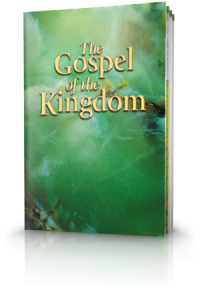 This Kingdom, as explained in our free Bible study guide: "The Gospel of the Kingdom" is the Kingdom that Jesus will establish on earth at His return, not a location in heaven to which we supposedly go when we die. Notice also Jesus' response to the man telling him "you will be with Me in Paradise." Understanding the nature of the biblical use of the term "paradise" is also crucial to grasping the meaning of this passage. The word translated "paradise" is used only two other times in the New Testament. In both cases it refers to the place of God's presence. In 2 Corinthians12:2-4 Paul describes a vision in which he "was caught up into Paradise." Paul says this paradise was in "the third heaven" which is the dwelling place of God. Jesus tells us that "the tree of life" is located "in the midst of the Paradise of God" (Revelation 2:7). Revelation 22:2 explains that the tree of life is to be in the New Jerusalem. God will come from heaven to dwell in this New Jerusalem (Revelation 21:2-3) after the resurrections of the dead mentioned in Revelation 20. Only at that time will men dwell with God in this paradise. Putting together these scriptures, we can see that the "paradise" Christ mentioned, in which men will dwell with God, is to be at a future time, yet to come. How do we know this was Christ's meaning? Again, as noted above, Jesus plainly said He was going to be dead and buried for the following three days and nights, after which He clearly told Mary that He had not yet ascended to heaven. Some theologians and religious denominations try to redefine Christ's use of paradise to say that this referred to where the righteous dead went before Jesus came, like a sort of temporary "holding place" next to hell because heaven wasn't available to them until Christ ascended to heaven after His death and opened the way for them to follow. This concept, however, is straight out of pagan Greek mythology about life after death (the Elysian Fields as the section of the Greek underworld for good people) and not something taught in the Bible. 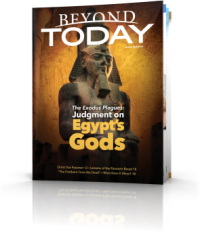 The idea that the righteous dead of Old Testament times went to a place called "paradise" and later ascended to heaven after Jesus was resurrected is disproved by the apostle Peter's plain statements in Acts 2:29, 34, almost two months after Christ's death and resurrection, that King David "is both dead and buried" and "David did not ascend into the heavens." Putting together the relevant scriptures, we can see here the truth of the matter. The robber had come to his senses while being crucified alongside Jesus (Luke 23:39-41). Like anyone facing imminent death, he sought comfort and assurance. Jesus provided it, telling the man, "Assuredly, I say to you today, you will be with Me in Paradise." Jesus was declaring in this statement to this thief and all, that at the moment of His own death one of the main purposes for His life would be fulfilled; now all mankind could receive forgiveness of their sins and be reconciled God the Father. Furthermore part of His reply, "Assuredly I say to you today" was a "common Hebrew idiom . . . which is constantly used for very solemn emphasis" (The Companion Bible, Appendix 173, p. 192). Examples of this Hebrew phrase, worded very similarly to Christ's statement, can be found in Deuteronomy 30:18 ("I announce to you today that you shall surely perish") and Acts 20:26 ("Therefore, I declare to you today that I am innocent of the blood of all men" (New International Version). Many centuries later, when the punctuation marks that we see in our English versions were inserted, Jesus' meaning was distorted by the wrong placement of the comma, and this Hebrew figure of speech was obscured. Several other Bible translations and reference works, among them The Rotherham Translation, The Emphatic Diaglott, The Concordant Literal New Testament and A Critical Lexicon and Concordance to the English and Greek New Testament, recognize the Hebrew idiom and correctly place the comma after "today" for proper punctuation. Jesus never said nor implied that the dying man would be in paradise or heaven on that very day. Jesus was encouraging him by solemnly assuring him that a time would come, in God's future Kingdom on earth, when the man would be resurrected and would see Jesus again. Jesus dedicated His life to preaching the Gospel – the Good News message - of the coming Kingdom of God. His declaration to the thief on the cross was recorded so that all who read this account may find strength and encouragement from His words of grace and comfort to the repentant thief who died with Him that day.